We provided a branded Corporate Booth to help Barclays Bank promote their new banking Pingit app. 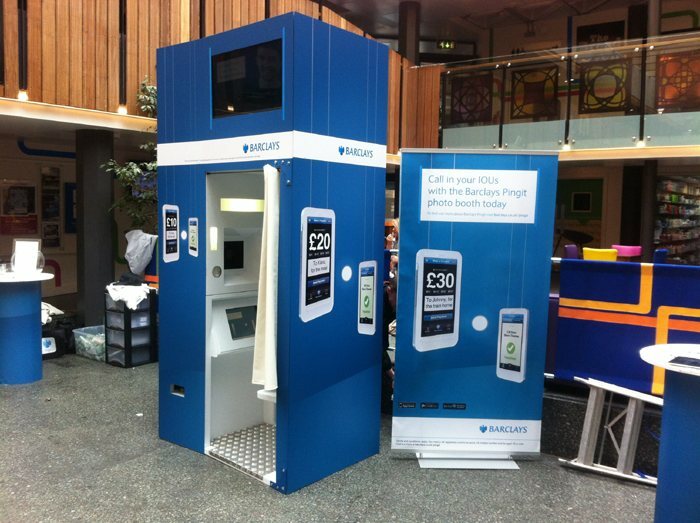 The tour took the booth to 4 Universities up and down the country and consisted of a branded touch screen, branded prints and branded IPads for students to upload their prints direct to their facebook wall with a branded Barclays Pingit message for the world to see. The booth also had a 42″ plasma TV built into the top playing a video and also showing images that booth had captured. The campaign was a major hit delivering print after print and hundreds of facebook uploads.